a little late, but here you go…in alpha order. and that Mingus Mosaic I don’t own yet. There were a bunch of reissues on CamJazz that I discovered, Cecil Taylor, World Saxophone Qt, Bill Dixon, Steve Lacy and few others. 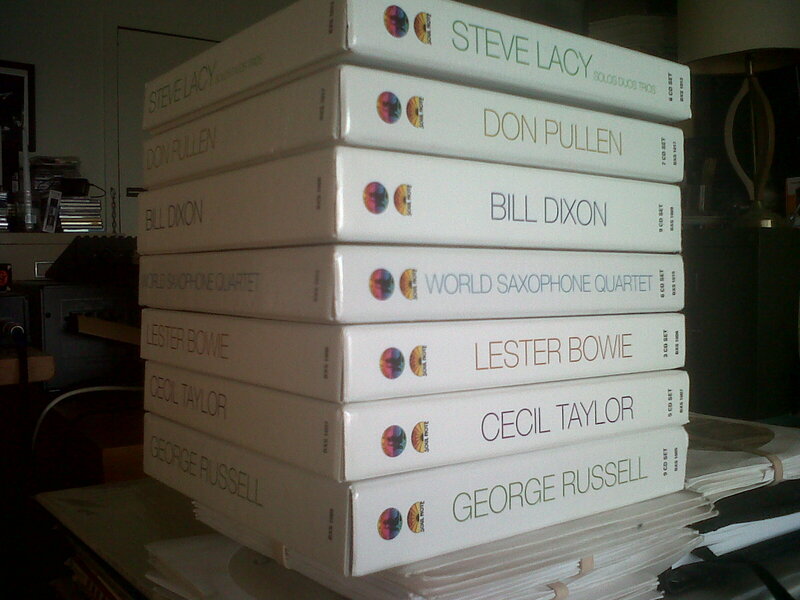 Also some grey market European collections by Bud Powell, Jim Hall, John Williams and Steve Lacy. I’m sure there’s others I’ll think of later! 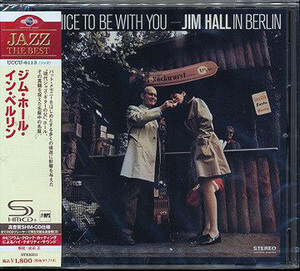 Edit: It has come to my attention that some Jim Hall archival material came out last year. I don’t own it, but it’s worthy of this list. An old favorite I haven’t heard in years, the disk opens with a duet for saxophone and piano with pianist Marilyn Shrude. Probably the original reason for buying this disk was Images by Milton Babbitt for saxophone and tape. A synthesizer shadows the sax with timeless tones, not sounding too dated for 1979. Contemporary composers working in this area – acoustic instrument with computer and or synth don’t seem to be making much of an improvement on this music. Babbitt’s compositional logic always seemed very musical to me. The same is true for Divertimento by Nobel winner Charles Wuorinen for saxophone and piano and Morotn Subotnick’s In Two Worlds for alto and interactive computer. It all works so well, leaving me wonder why this album is an out of print classic, I’m glad I picked it up years ago. An Jarrett trio from 1968, giving an early peak into his MO. Did he ever admit to a Gary Burton influence? Those folksy country gospel tunes could have come from there. Stunning, sensitive playing from bassist Charlie Haden and drummer Paul Motian, I like this trio even more than his later “American” quartet with Dewey Redman. There some magical out playing on Moving Soon, now that he has lots of money, maybe he could follow *that* muse and sell a lotta albums. Not gonna happen, but I do think this album is really happening. Very nice solo piano album from 1976, I knew there had to be Jarrett albums out there that I totally love, I just had to find them. Beautiful writing for strings and the most of the composing is sucessful. Saxophonist Jan Garbarek is hit and miss here. Town Hall must be my favorite Monk album with those tasty Hall Overton horn arrangements. I had this on a tape of a New Sounds program that I made in the early 1980s, I didn’t know what it was for years. 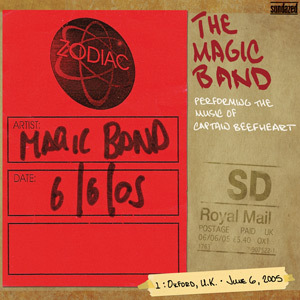 By the time I first heard the Magnetic Garden, it had been out for ten years (1973). Tape loops create repetition, the soft, gentle repetition of environmental recordings, percussion and analog synths are meditative. Various things I’ve been listening to lately. 20th century stuff, some of my favorite Phillip Glass, Morton Feldman, Milton Babbitt, some jazz. No comments today, but Happy New Year!